The new Hyundai Tucson promises sleek style and driver assistive technology to make the best of your Cartersville commutes. 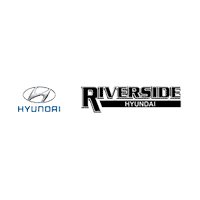 You can lease one of your very own for reasonable monthly payments outside of Cedartown with Riverside Hyundai. If you lease, you will still have access to a number of Hyundai Tucson trims including the Hyundai Tucson SE and the Hyundai Tucson Limited. Start the process by getting pre-approved online! Don’t Miss Hyundai Tucson Lease Offers Near Rockmart! When you opt for a Hyundai Tucson lease, you will enjoy a number of luxury and technology features throughout your lease term. Here are a few specs and features to expect when you get behind the wheel! Are you ready to see what else the new Hyundai Tucson can do? Contact us today to learn more about our lease offers, or to schedule a test drive near Cedartown!